C Washers | Boker's, Inc.
Boker's is a leading stamping manufacturer of C washers. 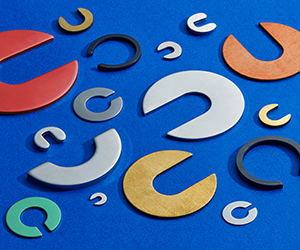 C-washers obtain their name for being in the shape of a "C" as they have a slot cut from the center to the perimeter allowing the washer to be removed, replaced or inserted without completely removing the fasteners. . Boker's manufactures C washers to your exact specifications. To obtain a quote for a C washer please fill out our fast quote form.